Making wine from juice allows beginning winemakers to make their wine without purchasing expensive equipment. Longtime homebrewers may, at some point, wish to branch out a bit. Many eventually add mead, cider or both to the list of fermented beverages they produce. And of course, wine is also a popular option. Homebrewers can introduce themselves to winemaking by trying kit wines. Kit wines contain everything you need to make wine in one box, presuming you have a bucket fermenter and all the usual equipment (hydrometer, tubing, etc.) The best kits are simple to make and the resulting wine can be excellent if you follow the directions closely. However, the simplicity and “by the numbers” approach of kit wines may not be attractive to homebrewers who wish to make wine “from scratch.” Unfortunately, making wine from grapes requires some reasonably expensive (and fairly large) pieces of equipment and this can discourage some from trying it. For homebrewers who’d like to try winemaking without having to buy a lot of equipment, but still retain the freedom of making wine from raw ingredients (or nearly so), there is frozen grape juice. There are companies that crush quality wine grapes from vineyards in wine growing regions and freeze the resulting juice. This can be used by home winemakers to make high quality wine. 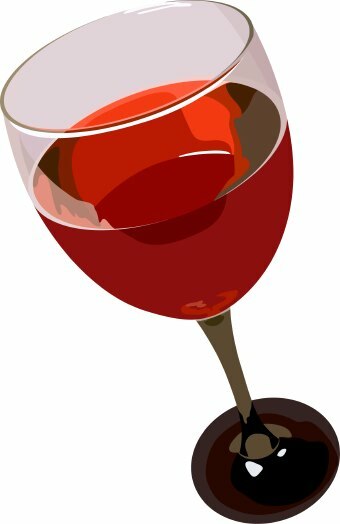 In order to introduce the topic of making wine from juice, I’ll review how wine is usually made. Winemaking starts in the vineyard where wine grapes are grown. Most wines you would buy are made from grapes of the species Vitis vinifera, and these include Cabernet Sauvignon, Pinot Noir, Merlot, Chardonnay and Riesling. When the grapes are ripe, harvest begins in the early morning and quality winemakers strive to crush their grapes prior to them heating up as the day progresses. Crushing is done by a machine called a crusher/destemmer that, as the name implies, crushes the grapes and removes the stems. An entry-level, manual crusher/destemmer is going to set you back at least $350. Motorized models start at around $1,000. After the grapes have been run through the crusher, the winemaker is left a mixture of grape juice and solids (grape skins). What happens next depends on whether he or she is making red or white wine. If a white wine is being made, the juice is usually pressed from the skins right after crushing. A simple basket press needed to do this is going to cost several hundred dollars, and bladder presses start at around $1,000. In a regular winery, the next step would be to take a sample of the juice for analysis and to add sulfite to the wine. Sulfite is added by adding potassium metabisulfate (in the form of a powder or from Campden tablets) to the juice. The sulfite releases sulfur dioxide (SO2) gas that kills bacteria and wild yeasts in the juice. It also serves as an anti-oxidant so the juice doesn’t quickly start turning brown. The sulfite is allowed to dissipate overnight and the juice sample is analyzed for sugar content (in °Brix), acidity (in g/L), pH and nitrogen content. In wine country, there are specialized labs that analyze the juice for a price and, of course, large wineries have their own labs. Home winemakers can test the sugar content with a hydrometer or refractometer and take the pH with a pH meter. The equipment to accurately test for acidity starts at around $200, but cheaper test kits that are accurate enough for most winemaking applications exist. Testing for nutrient levels is something that needs to be done in a lab; many home winemakers skip this step and simply add prophylactic doses of wine nutrients. The next day, after the SO2 has dissipated, the winemaker makes any adjustments to the sugar or acid levels that are needed, then adds the yeast. Adding sugar, called chaptalization, is not allowed in commercial wineries in some countries, but home winemakers are free to do so if they feel the sugar level in the grapes is too low. The appropriate level depends on the grape variety and type of wine being made. Red wines are generally made from grapes at around 22–25 °Brix. 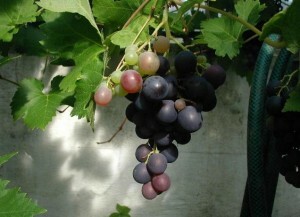 White grapes usually register 18–23 °Brix. Table sugar (sucrose) is used for sugar additions. Likewise, acid can be added if the juice is deficient. Red grape juice is usually adjusted (if needed) to 0.6–0.8 g/L of titratable acidity (TA) while whites are usually adjusted to 0.7–0.9 g/L. For this adjustment, either tartaric acid or a blend of acids (called winemakers blend) is used. In the best vintages, quality wine grapes will naturally fall into these ranges for sugar and acidity. Yeast need nitrogen to be healthy, reproduce and ferment. When making wine, nitrogen sometimes needs to be added because the juice itself is deficient. A good wine fermentation usually requires 200–250 mg/L of YAN (yeast assimilable nitrogen), essentially nitrogen in the form that yeast can use. This is often added in the form of DAP (diammonium phosphate) or nutrient blends (containing DAP and other yeast nutrients). Commercial wineries add nitrogen depending on the analysis of their juice. Home winemakers most often simply apply a dose that should work. After any adjustments are made, the wine yeast is added. The yeast ferment the must (unfermented grape juice) in to wine. In red wine fermentations, the temperature is allowed climb. Some home winemakers even heat their red wine fermentations to get them to peak at 80–85 °F (27–29 °C). The warm temperatures increase extraction of color from the grape skins. In contrast, whites are generally fermented cooler (55–65 °F/13–18 °C), with the idea that volatile compounds important to their aroma will be preserved. In the fermentation of a red wine, the skins form a cap on top of the fermenting juice. This cap is punched down, usually a few times a day, until fermentation is complete and the wine is ready to press. Reds are generally pressed either at the end of fermentation or just before. As wines ferment, they leave behind a sediment of yeast called the lees. (This is the equivalent of trub in brewing.) After primary fermentation, they are racked to another vessel to separated them from the gross lees. After the wine is racked, more yeast will sediment out (and form fine lees); the wine may be racked several times to separate it from the yeast sediment and clear it. (In some case, the lees are stirred back into the wine to add some flavor.) Usually, the levels of SO2 will be tested each time the wine is racked and sulfite added to protect the wine from oxidation. In the vase of most reds, and some whites (most notably Chardonnay), the wine may be racked to barrels. The barrels impart an oaky flavor to the wine. Home winemakers may use oak chips, cubes or staves if they do not have a barrel. In addition, most reds are allowed to undergo a secondary fermentation, called malolactic fermentation (or MLF), in which malice acid is fermented into lactic acid. In most whites, the level of SO2 is kept high enough to suppress MLF. Most wines are bottled a little less than a year after they are made. For practical purposes, commercial wineries need to clear their tanks before the next year’s harvest. A final dose of sulfite is added at this point to preserve the wine. Commercial wines are filtered for clarity, and homemade wine are generally treated with fining agents to help clear them. If well-made, white wines can usually age nicely for 1–3 years, reds for 3–5 years. In some cases, a wine may age longer than this and continue to improve. So that’s a general outline of how wine is made. There are plenty of alternate or variant procedures, but the above describes roughly how most wine is made. For those looking into making wine from juice, the juice is frozen directly after crushing (for reds) or pressing (for whites). Depending on the source, sulfites may or may not be added. Some sources of grapes even include an analysis of the juice, so you don’t have to get it tested (or test it yourself). So, when making wine from juice, you do not need to live in a wine-growing region. You do not need a crusher/destemmer. If the juice is tested before it is shipped, you don’t have to pay a lab to do it or buy the equipment yourself. You just make the winemaking decisions based on that analysis. Frozen juice is available from a variety of sources, from the US and other winemaking regions around the world. Harvest in the northern hemisphere is in the fall. Harvest in the southern hemisphere is in our spring. When purchasing juice, find out as much as you can about it (beyond the grape variety)— especially if sulfites were added and if an analysis (of Brix, TA) is available. Starting from juice, you can make white wine with ordinary homebrewing equipment and handful of supplies from the home winemaking section of your homebrew store. For reds, you will additionally need to buy or rent a press, or come up with a makeshift way to press the wine from the red grape skins. In a future article, I’ll give more specific instructions on making wine from juice.